About a year ago I tackled Mt. Wilson for the first time with a group of friends. It was a rough time for me – I had just been diagnosed with extensive food allergies and I was having a hard time fueling myself properly. Within the first 4 miles I was starving. So I needed frequent snack breaks. By the time we got to the top my IT bands were screaming. I thought that a rest, food and water might turn things around. Not the case. I made it about a mile downhill, and even with the poles I knew I couldn’t complete that hike down in under about 12 hours. So I took option B – hang out at the top of the mountain for a few hours waiting for someone kind enough to drive me back to the bottom to meet my friends. This time out, I was determined to make it up AND down the mountain. And since I’ve spent the last year rehabbing my knees, I took on the added challenge of a steeper route to the top. Enter the Goat Trail. This route starts at the helipad and then goes straight up and over the middle ridge of Mount Wilson. It’s steep (up AND down), unshaded, and gorgeous. I’m so glad we picked it. I’ll admit, I cheater near the top and opted for some switchbacks. It was a nice break. Toward the top we also found a lot of damage from the rain storms we had a few weeks back. Quite a lot of rockfalls and erosion. We celebrated at the top with snacks and then it was back down via the Sturtevant trail. After the first two miles of punishing switchbacks and a steady decent, I broke out my poles. My right knee was not happy. My trail time slowed considerably, but I ambled through to the conclusion of the hike. Mount Wilson 1, Shannon 1. I’ll take it. 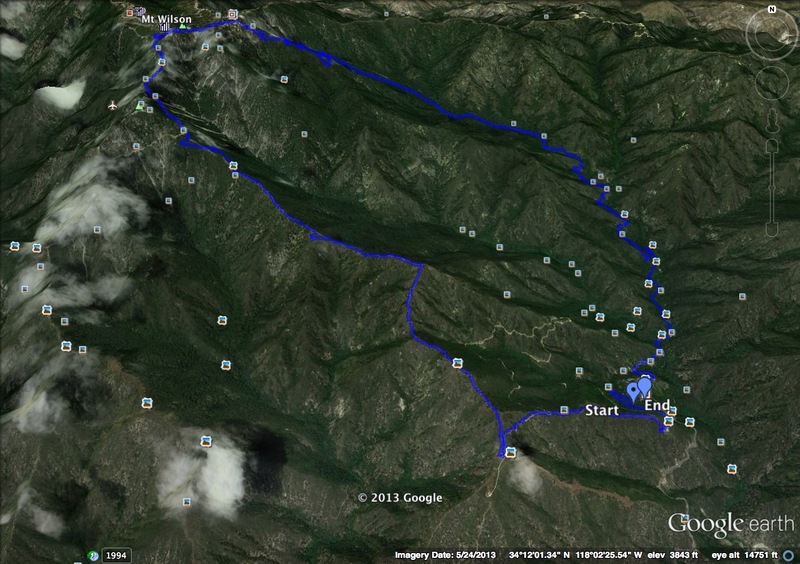 This entry was posted in Uncategorized and tagged goat trail, grudge match, hiking, Mount Wilson. Bookmark the permalink.